Portraits, landscapes, night photography, real estate, bird/nature photography… the list goes on. Luminosity masking is a universal technique. It enhances the fundamentals of using layers and layer masks to help the photographer tune their adjustments in to a very high degree of accuracy. Therefore it “works” for ANY style of photography where someone might want to make adjustments in Photoshop (a pretty big list, right?). That said, the ONE type of photo people ask me the most about is real estate. And the one scenario they specifically mention is where you take a photo indoors and the windows are completely over-exposed. For that reason, a while ago I added a new half-hour tutorial to the members area showing how to use the luminosity masking techniques I taught in the main part of the course, to solve the issue of over-exposed windows. The window scenario is a great example actually, because it’s much easier to visualise what’s going on with the mask when there are defined lines and defined “inside/outside” areas. Note how the mask allows only the brightest parts of the outside area through, without affecting the interior… And the mask was created in a few clicks and brush strokes! Or blending exposures that subtly with a push-button HDR plugin. I tease, but this really is (in my opinion anyway) the best and only way to effectively blend exposures. And exposure blending is only scratching the surface of how you can use luminosity masking to improve your entire workflow. 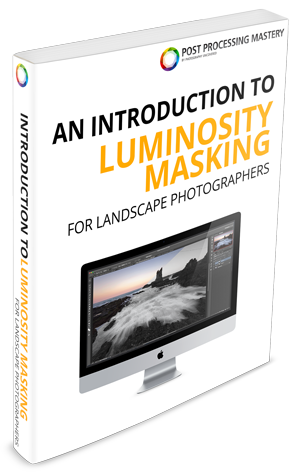 The good news is that my Luminosity Masking Mastery course will get you up to speed, fast. Sure, I use landscape photos to teach the concepts in the videos, but the techniques and the overall workflow can be transferred to just about anything. Click here to come on board.